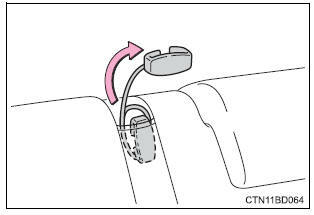 If the shoulder belt sits close to a person's neck, use the seat belt comfort guide. Pull the comfort guide from the pocket. Slide the belt past the slot of the guide. 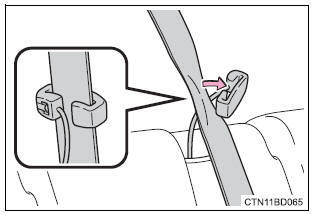 The elastic cord must be behind the seat belt. Buckle the seat belt and position it comfortably.